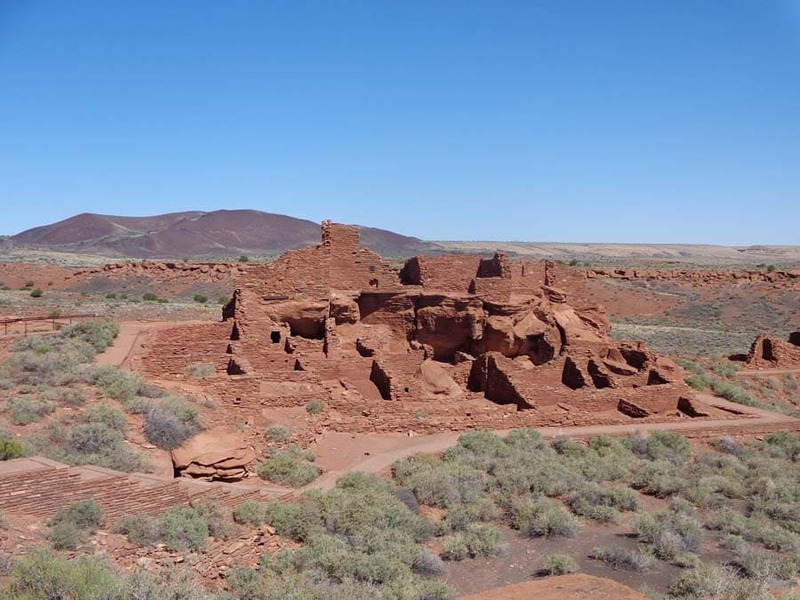 Immerse yourself in history on this American Southwest culture tour while you visit Native American reservations and pueblos, Santa Fe and many typical Wild West towns. 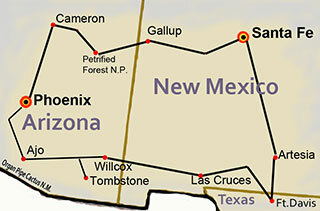 The cultures of the Southwest are varied and unique, with many different traditions, art forms and lifestyles. Our knowledgeable tour guides will provide you with insights into the history of the areas you visit. 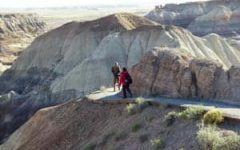 Gain first-hand experiences as you travel with a small group of other interested individuals and walk and hike the path of settlers and Native Americans on our route from Arizona through New Mexico and part of western Texas. Starting in Phoenix, Arizona, the tour leads through the Sonoran Desert – the most species-rich desert of America – with Saguaro cacti as tall as trees, and fascinating landscapes in three states. We experience remote deserts in Texas, like Llano Estacado, where we overnight at an oasis with warm natural springs, used for centuries by the area’s native peoples. We visit historic military forts and observe the surviving cultural legacies of many different native peoples at the Gathering of Nations, the largest Pow Wow in the western U.S. Further highlights include the magnificent landscapes of the Grand Canyon, Petrified Forest National Park, the magical dunes of White Sands, New Mexico, Saguaro National Park, and a tour of the underworld at Carlsbad Caverns National Park. If you would like to reserve a spot on one our Southwest tours, or would just like to inquire for information, please contact us! Our small group bus tour is perfect for nature enthusiasts traveling alone or together with family/friends. 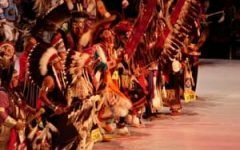 Celebrate Native American culture at the “Gathering of Nations” in New Mexico, the largest Pow Wow of the west. Visit natural wonders at Grand Canyon, Petrified Forest, Saguaro and Organ Pipe Cactus National Parks and National Monuments including White Sands, Chiricahua, Wupatki, and Sunset Crater . Stay at a guest ranch, with optional horseback riding. 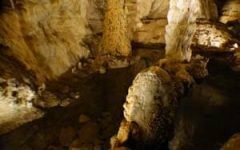 Experience the mysterious underworld in one of the largest caverns in world: Carlsbad Caverns. 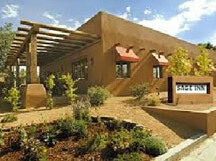 Enjoy guided tours of a Native American Hopi pueblo and Acoma Sky City Pueblo. 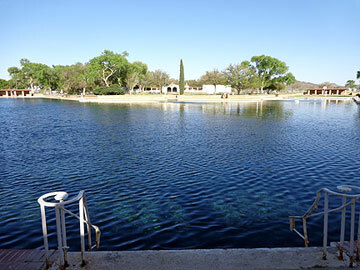 Relax, swim and soak in a hidden treasure of Texas, a historic oasis with warm natural springs. 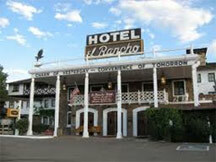 Explore culture-rich towns including Santa Fe, Mesilla, Flagstaff, Sedona and Gallup on Route 66. Interested in the Desert Springs tour? Please contact us! We are happy to answer your questions. 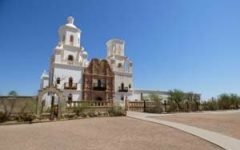 Our small group tour itinerary covers the states of Arizona, New Mexico and part of Texas. Read about the details of our day to day small group tour route through the Southwest region. For this unique American Southwest culture tour we’ve chosen accommodations and experiences that immerse you in the life of the Wild West, both as it is now and as it was a hundred years ago. Spend two nights at a Wild West Ranch. Stay in various unique local and historic accommodations chosen for their charm and comfort. Highlights of your tour are the world famous Gathering of Nations Powwow, visits of cultural centers, a tour of Acoma Sky City and a Hopi Pueblo, visits of several famous national parks, monuments and museums.